Doing something from scratch is never easy. Especially when it comes to creating a new HR department, things get complicated — but it was my time to shine! My mission was to pass a new vision inside a company that never had an HR department. I was accustomed to the “Old HR system” and all of its failures and inflexibilities, so I decided to adopt Agile…to HR! Agile isn’t just for tech anymore. It’s been climbing its way into other areas and functions, from product development to manufacturing to marketing, and now it’s transforming how companies hire, develop, and manage their people. Yeah, that’s right… PEOPLE! Shocked?? Read on, and you will understand. You could say HR is going “agile lite” 🤓 by applying the general principles without adopting all the tools and protocols from the tech world — in other words simplifying the methodology. It’s a move away from rules and planning-based systems like the Gantt chart, as it promotes a more straightforward and faster model driven by feedback from participants. This new paradigm has taken off in the area of performance management. Well the most significant change was, now we have an HR Department! — Super 😏. PICUS is adopting Agile methods in their core operations. 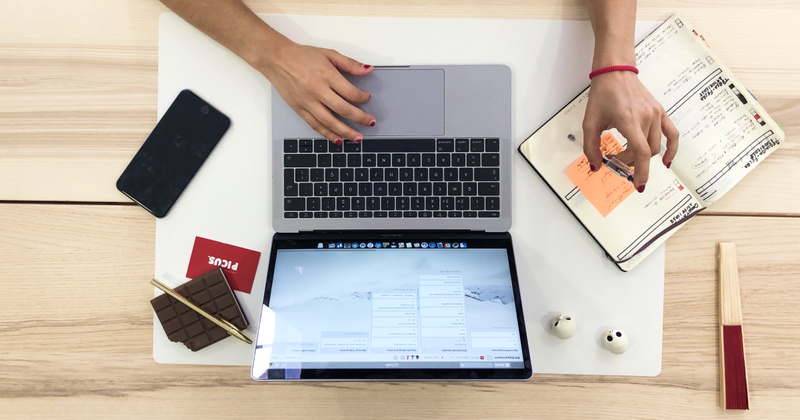 We dropped the charade of trying to plan a year or more, how projects would go and when they would end — in other words, we decided to do everything for 1-week sprints, and we apply this method throughout the company. This is achieved through the model of ongoing dialogue and feedback from clients and customers in their assessments. PICUS engages a professional — Ricardo Parente — to help all managers give better feedback to our collaborators and, more broadly, to develop internal mentoring capabilities. The idea is that once one experiences good mentoring, one becomes a better mentor. Not everyone is expected to become a great mentor — those in the company who prefer coding to mentor can advance along a technical career track — but mentoring skills are considered central to a managerial career. The bet is that building employees capabilities and relationships with supervisors will increase engagement and therefore help the company innovate and move faster. By contrast, in the role of a moderator, HR may pursue sensible, practical ways in which it can help the organization meet the needs of all the stakeholders, moderate the more aggressive tendencies of the managers, and work in a low-profile way to generate a more productive organizational culture. So at PICUS we practice good HR policies by measurable results and helping avoid PR disasters. Such practices can help a firm win a spot on the list of the best companies. Traditional HR focused on individuals 🙅🏻❌— their goals, their performance, their needs, we decide to change! Now we are organizing our Projects, Sprint by Sprint to management talent systems to becoming more team focused. Groups are creating, executing, and revising their goals and tasks with Scrum— at the team level, at the moment, to adapt quickly to new information as it comes in. (“Scrum” may be the best-known term in the Agile lexicon. It comes from rugby, where players pack tightly together to restart play.) They are also taking it upon themselves to track their own progress, identify obstacles, assess their leadership, and generate insights about how to improve performance. Used to reinforce Agile values such as learning and knowledge sharing, the workers rise in the inner pyramid. For every junior, we have no expectations for you to know everything up-front. Indeed, we recommend that you don’t know. Just come with an open mindset and ready to absorb about all the fantastic information that we will share with you in the upcoming months. Work hard, be patient and results will come. This stage is where you already know things work, you can make things look good, clean and beautiful but that’s not enough for you anymore! You want to be able to give your strategic thinking by looking at marketing data and come up with problem-solving solutions! Ok, now you are a Senior (f*ck yeah! ), you have mastered all the things from UI, UX, Data Analysis to Business Strategy. You already have some community presence, and you were an essential piece for the creation of the Agency’s new Creative Process. Good news! You are a Designer (with D in Caps). Bad news, you are just starting! We track each candidate’s progress in the interview process. We manually enter people into a Trello board for personal introductions. People who apply to our website will get them. Our CEO, Ricardo Parente, leads the hiring process. He ensures that everyone gets a response and he speaks with everyone before he or she is hired. Anyone can do an initial review of the candidate’s application. In particular, they review the candidate’s code sample or portfolio. If necessary, they may ask someone else (like a designer or developer) for another pair of eyes on the code or portfolio. We either send them a rejection or an email based on this template, moving them to the “Non-Technical Interview”. Onboarding is more than just a new hire orientation. Onboarding is a process. Orientation is an event — the first step in the onboarding process. The orientation step allows you to collect all relevant human resources, payroll and benefits forms. The onboarding process helps you to develop a happy contributor. Onboarding conveys your organizational brand and values, explains your people and professional culture, aligns institutional expectations and performance and provides the tools for the employee to successfully assimilate into his or her position with a quicker ramp-up to productivity. A sound onboarding process spans 1–2 years and includes constant communication, feedback, and performance measurement — all keys to employee longevity and loyalty. Onboarding follows the employee lifecycle for mentoring and development and provides automation for consistent and timely tracking of onboarding events. Seamlessly transitioning the candidate through the new hire and onboarding experience, then into the performance management process matriculates the new employee and ensures success. When we say goodbye to employees, we want to make sure the process is as efficient as possible so both sides won’t waste time by repeating or delaying tasks. Our offboarding checklist is very comprehensive. Revoking access privileges to tools. Saying farewell is never easy, but we appreciate all the effort and time that he or she spends with us. So we have created a Thank you gift — because people matter. It’s an ongoing, flexible and capable process to adapt to all situations that may exist. Connected not only to an individual but to the team as the core. Together, we overcome obstacles. By using more EQ, we managed to have a beautiful result in which the team feels confident to deliver unique solutions for each project. By giving the team freedom to express and have the autonomy to solve their problems makes the group more united. Through this new process, HR reaches all fields of PICUS by adding value to its employees and customers. Of course, since it is a process that meets the needs of PICUS, there is a constant change and evolution. That’s what Agile stands for. PICUS is a consulting company of designers and developers that partners with you to create great products for web and mobile. You can follow our work on Facebook, Instagram, LinkedIn, and Twitter. Thanks to Ricardo Parente 🚀 and Diogo Matos. We’re a full-service agency that makes high-end brand experiences.